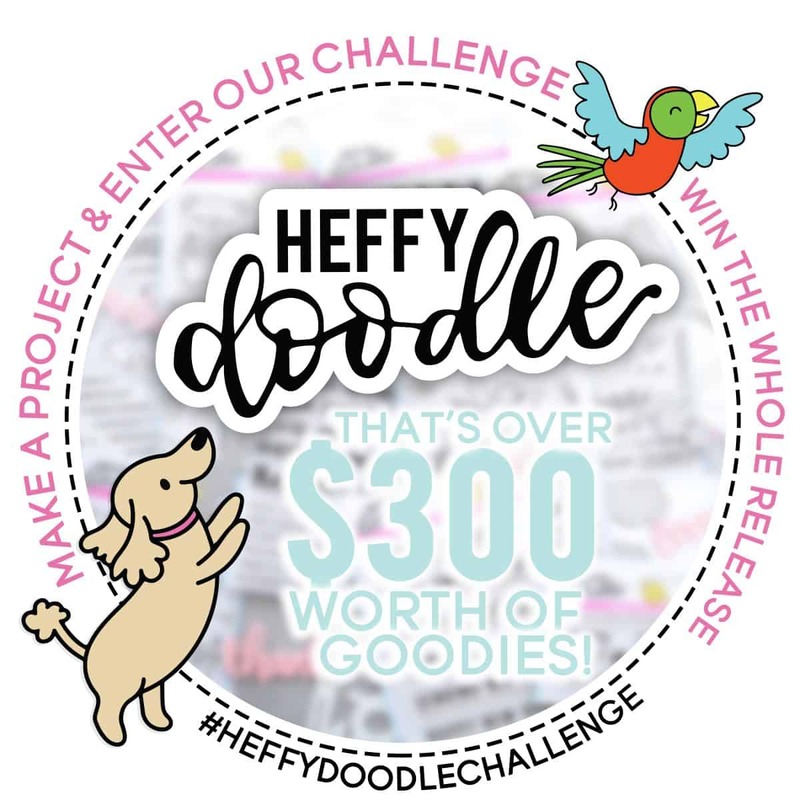 Enter the Heffy Doodle Challenge and WIN BIG! Happy May day everyone, and we are kicking off this month with a HUGE announcement! As a fun build up to our June release, we will be having a month long challenge throughout May – giving you guys a chance to WIN the whole June release! WOWSERS! That’s over $300 worth of goodies! You can interpret the theme in any way you like – it’s just a starting off point to get the creative juices flowing. You can use any Heffy Doodle products, and you are welcome to use products from other companies as well. Share your project – whether on your blog, YouTube,Instagram, Facebook, Pinterest or Twitter – you will get an entry for each share. 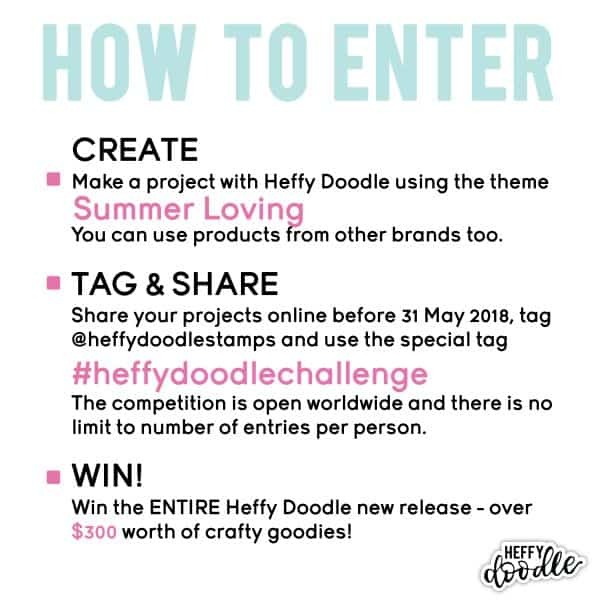 BUT be sure to tag us (@heffydoodlestamps on instagram and @heffydoodle on all other social sites) and you must include the special tag #heffydoodlechallenge. The challenge is open worldwide, and there is also no limit to the number of entries per person. Our June release is bigger than ever before, and let me share with you a little secret… we are introducing a brand new product to our line! (EEEEKKKK!!) The graphic above gives you a sneaky first look at some of our new images, but the full sneak peeks start on 23rd May and the full reveal will be on 25th May when pre-orders will also be available until the release date on 1st June. Good luck everyone, and happy crafting! This is amazing!!! I can’t wait! I’m so excited!! Only having a (personal) Facebook page, and never having even tried any thing like this before…. how would I go about doing so? Sounds super exciting!! Can’t wait to see the reveal! Lovely news…I am super excited! !